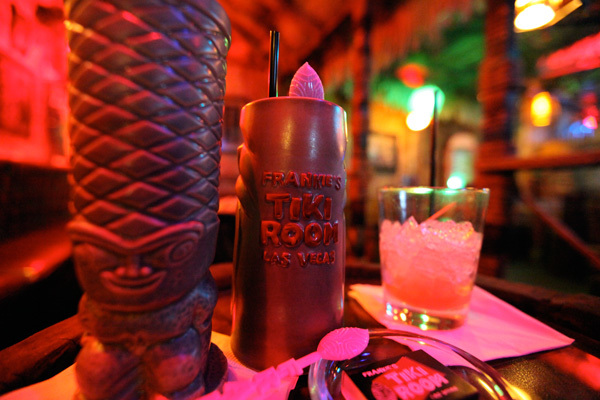 From Unica Home we made our way to Frankie’s Tiki Room… and WOW. Seriously. While in Vegas, wtf are you doing on the strip? 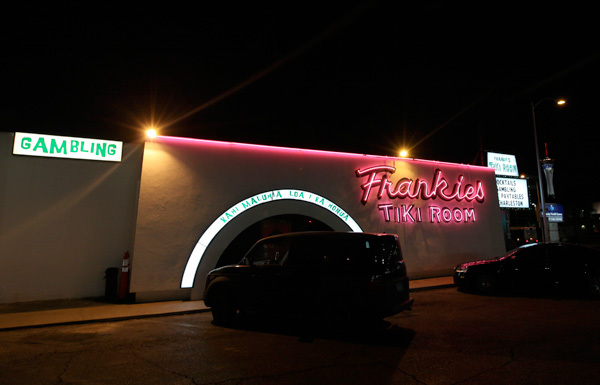 Go to Frankie’s! 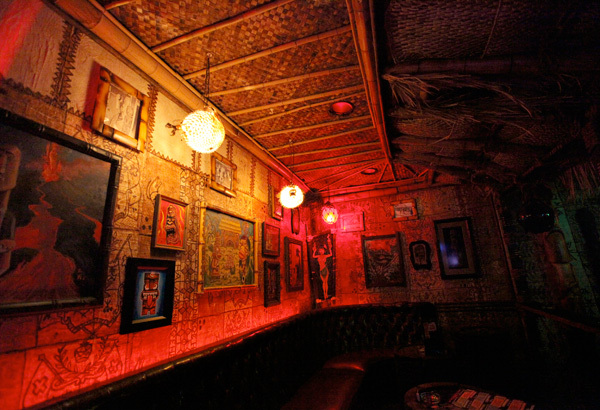 It is dripping with tiki bar lore, and art works from many of our favorite contemporary tiki loving artists (so much SHAG-aliciousness! 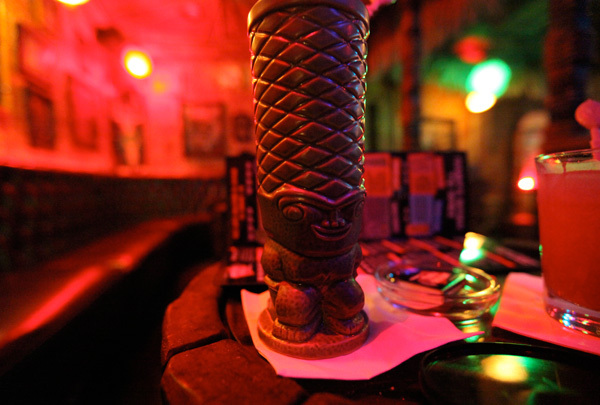 )… and even an exclusive set of custom Tiki Souvenir Mugs! Not to mention the awesome old school neon signage on the front of this 24 hour joint that just opened last month! Soooooo, there will be three posts on Frankie’s since there was too much to show you in just one! 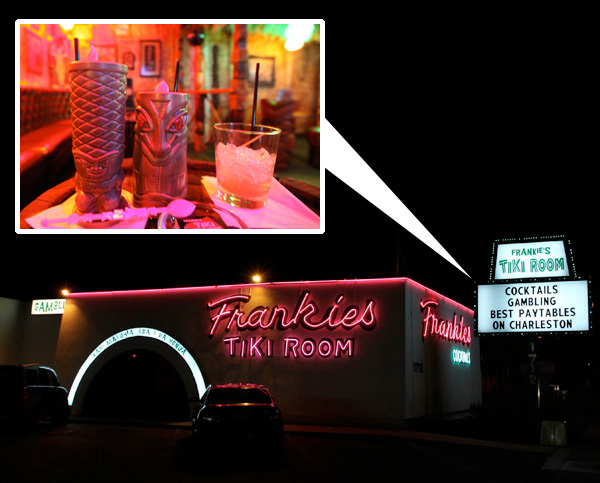 First up ~ photographic look at Frankie’s and my very strong drinks and giddy view of the tiki wonders… so go see the pics on the next page, and i’ll slip more info in there, but you really need to see more first! 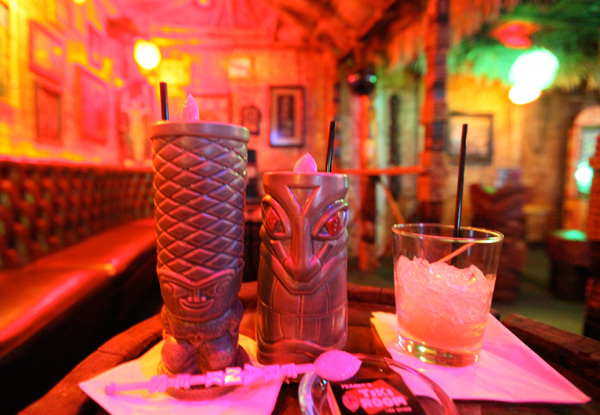 These tiki mugs are SO AWESOME!!! See more closeups here! 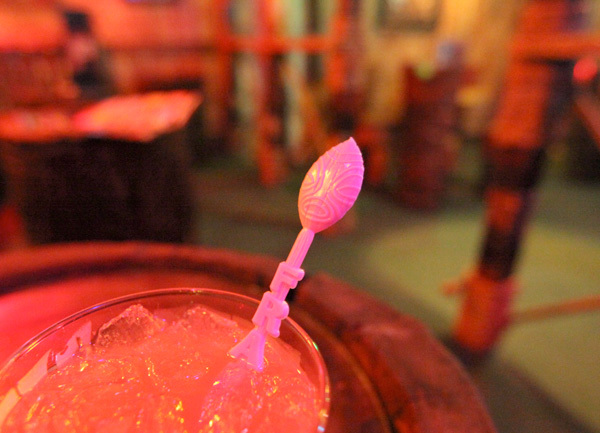 Super cute stirrers… also see more closeups here! So apparently…. 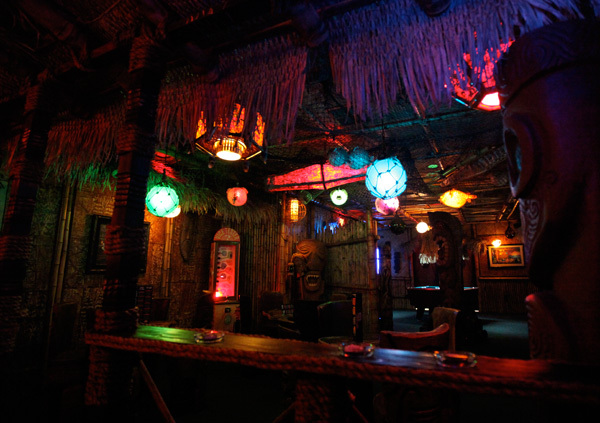 “The interior of Frankie’s was built by Bamboo Ben, the world’s foremost tiki bar designer and grandson of Eli Hedley. 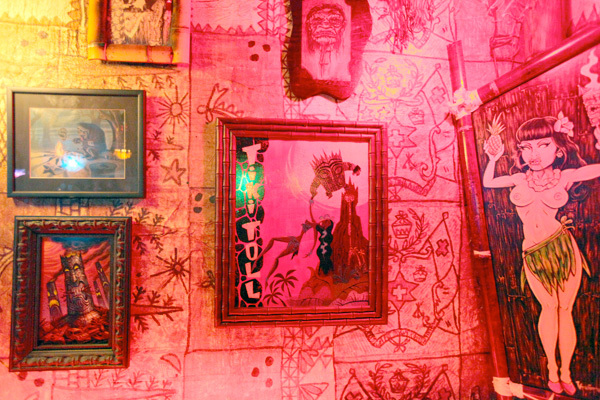 Eli is remembered as the original beachcomber, scavenging from the sea to create the decor at such fabulous destinations as Walt Disney’s Enchanted Tiki Room, and the Las Vegas classic Aku Aku at the Stardust.” Read more at Frankie’s page ~ there are links to all the artists, etc and more info! 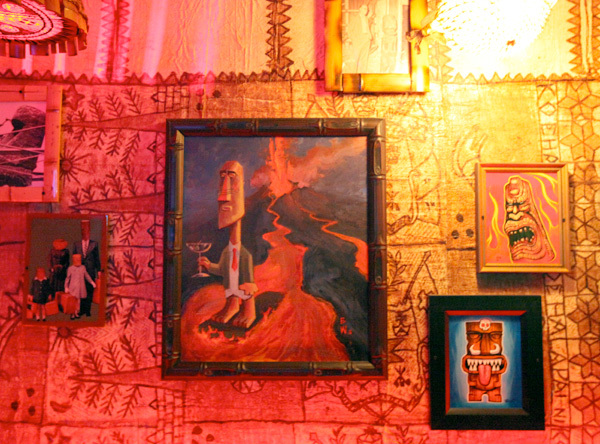 This martini sipping suited Tiki in hell is my favorite of the many amazing artworks ~ read more about all the artists involved here! 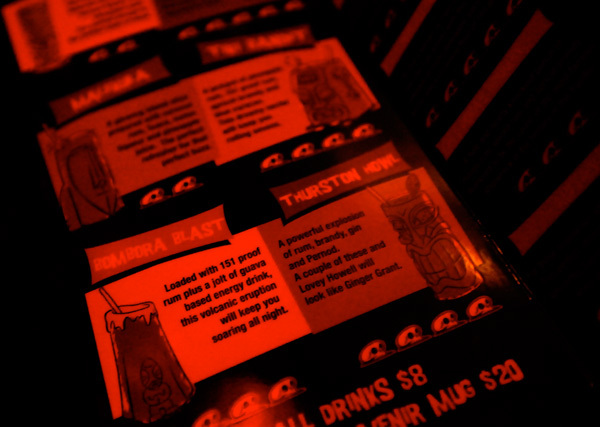 As you can see ~ the bar was SUPER dark and had a crazy glowing red lighting… so these pics are the best i could do given the strong drinks and dim lighting… but see the full menu here! In the corner there is a custom built/designed SHAG “Vice Tester” machine! For a quarter it tells you what your vice is… mine is apparently drugs… See the closeups of all sides of the awesome machine as well as a video of it here! Jean - mad kudos to you for going off the Strip to explore. You’ve given me a whole new incentive to go back to vegas…just when i thought I’d “seen it all”… ;) well done. 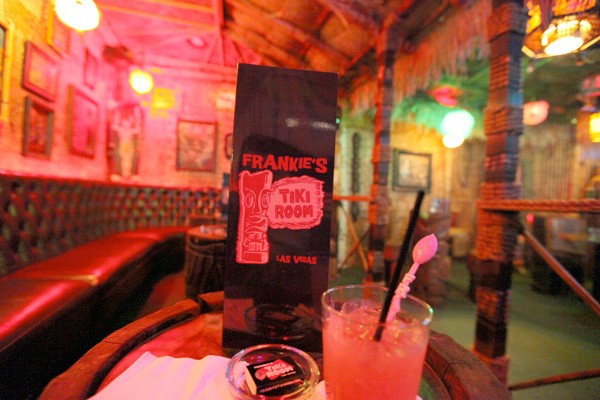 There are a few great spots in Vegas, but Frankie’s is one of my favorites. 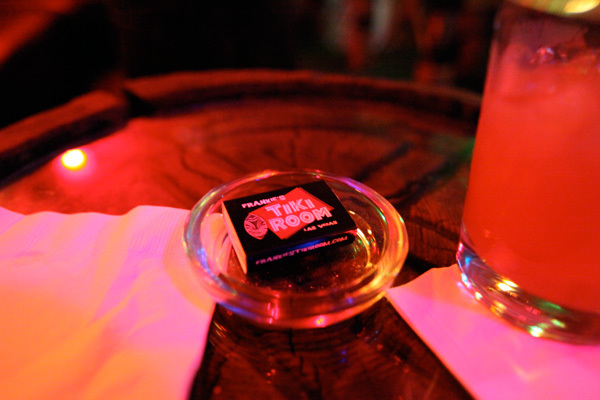 Make sure you order the “scorpion” at the Peppermill next time you’re in town! I can’t wait to go there! In the meantime I am going to order some mugs online for my collection! 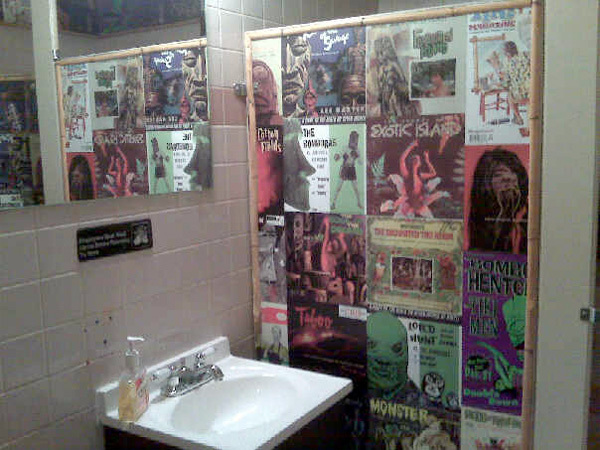 i’m in love with this bar. 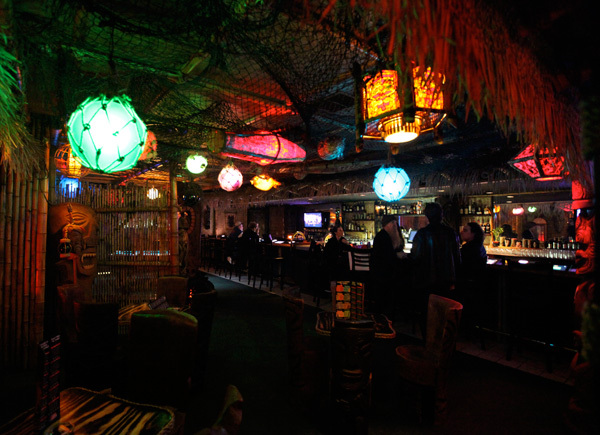 You should check out Caliente Tropics in Palm Springs. 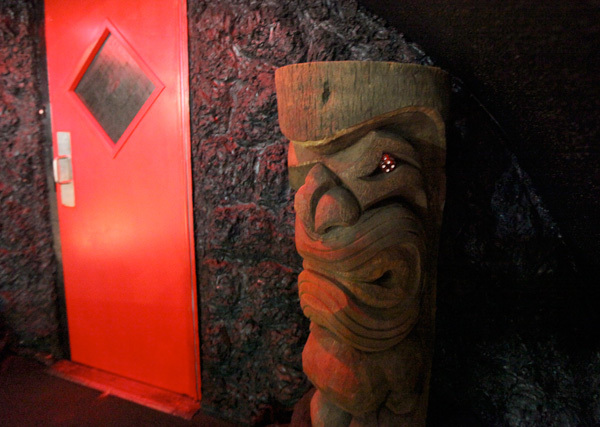 It’s traditional 60’s Tiki style.